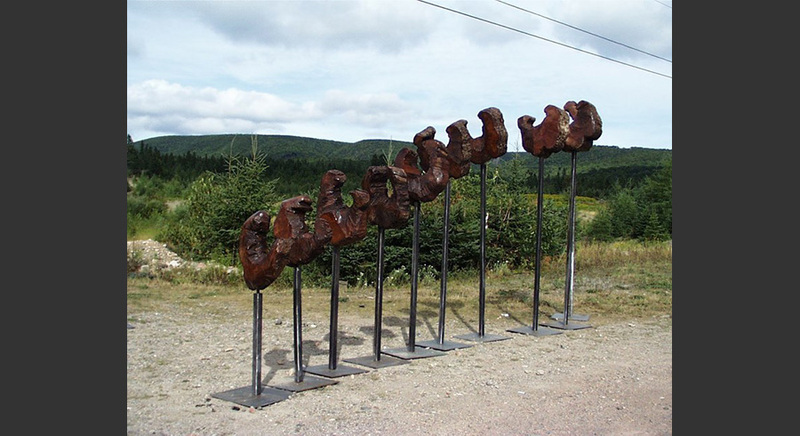 In 1974 Herb bought 100 acres of spruce forest at the end of a 2 1/2 mile logging road on the island of Cape Breton in Nova Scotia, Canada. 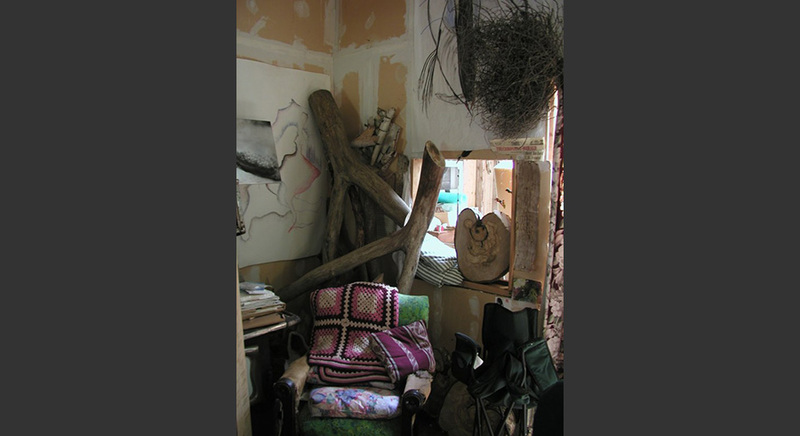 He built a a two story house/studio with some friends in the woods which has no electricity. 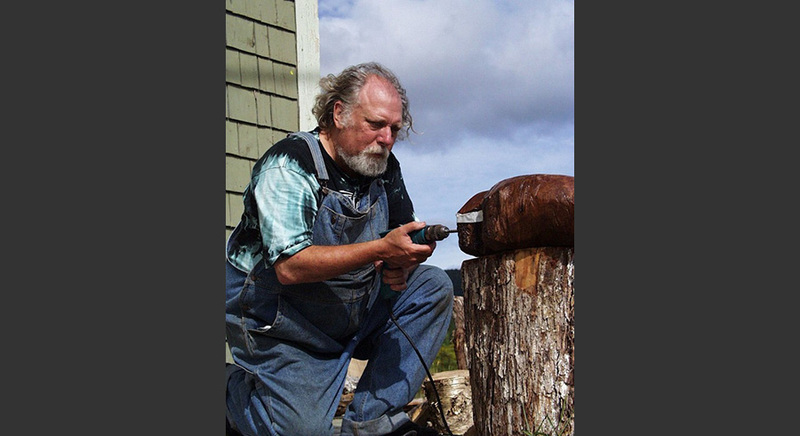 He easily fell into the rural life of this mecca of artists creating their own world. 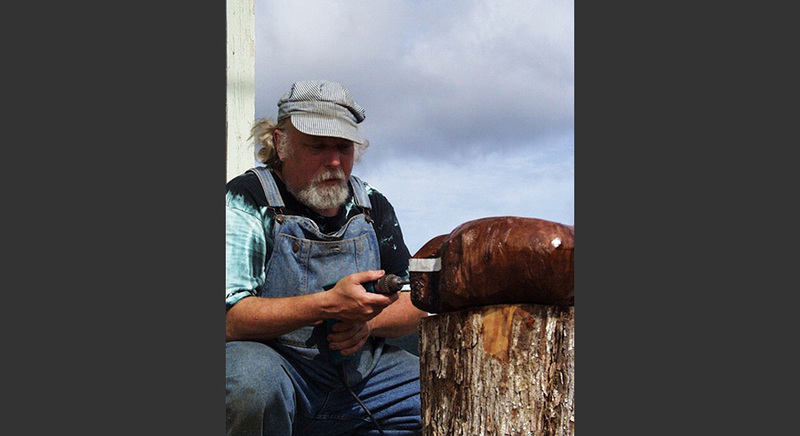 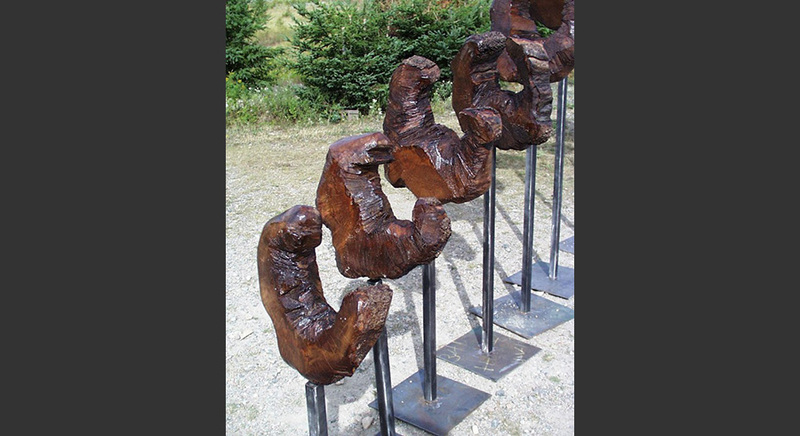 It was here that the boy from apartment life in Brooklyn discovered a love of wood upon which he has created a number of projects including an introductory portion of his aluminum column installation "Dialogue with an Ancient Forest". 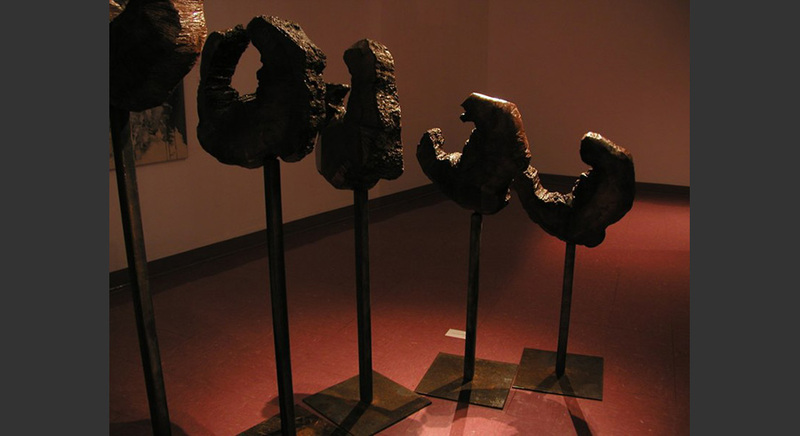 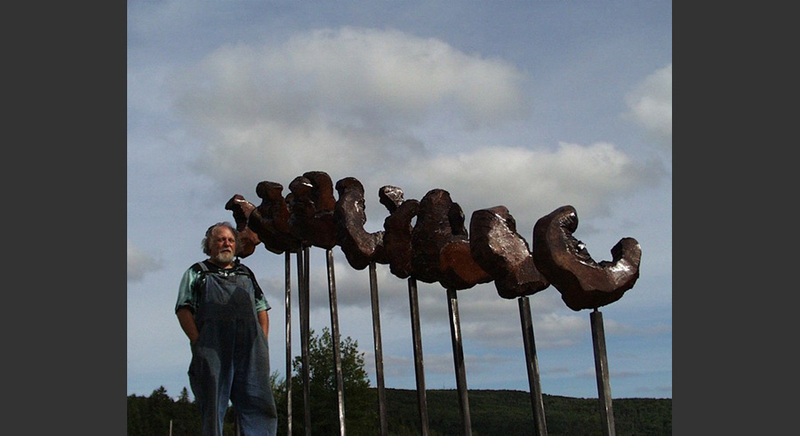 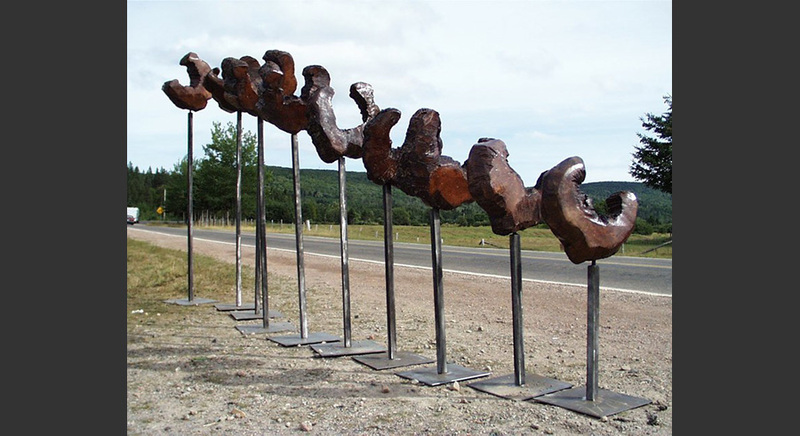 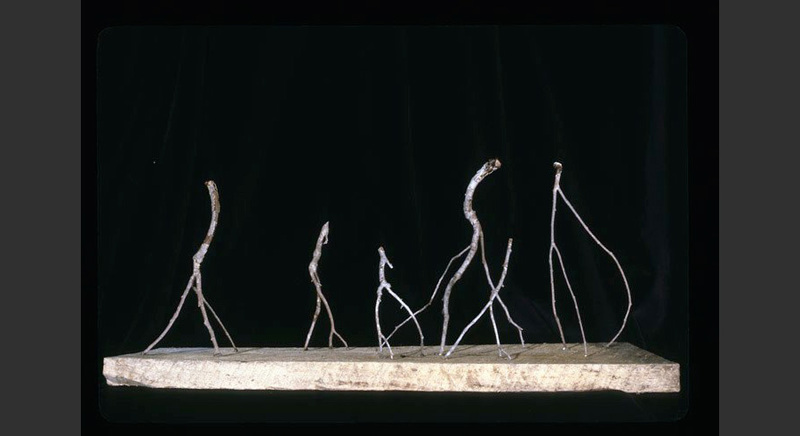 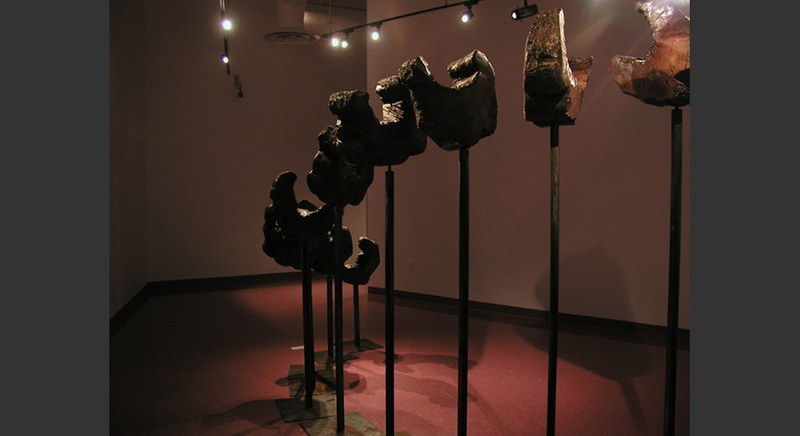 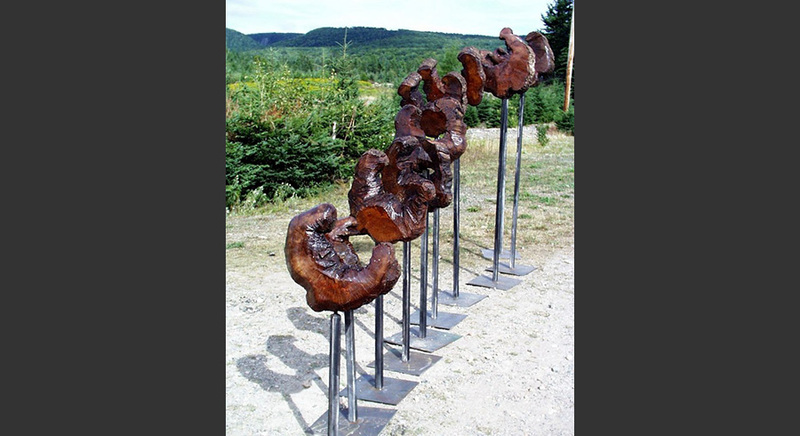 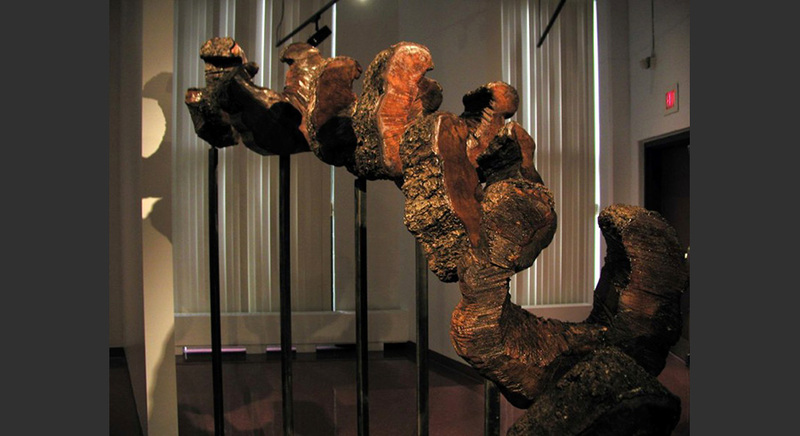 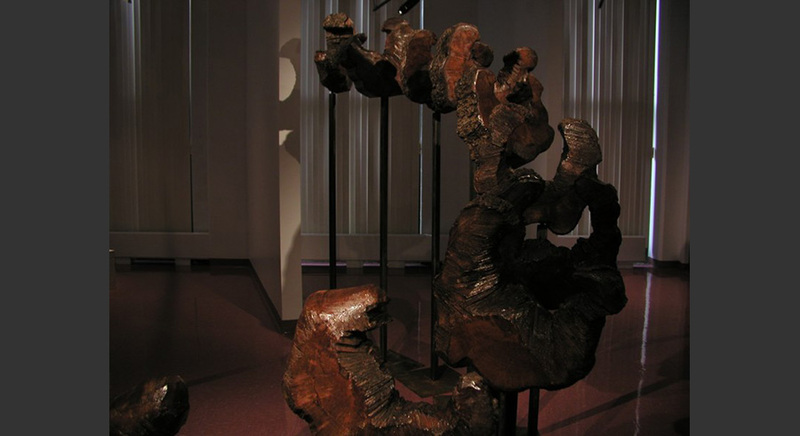 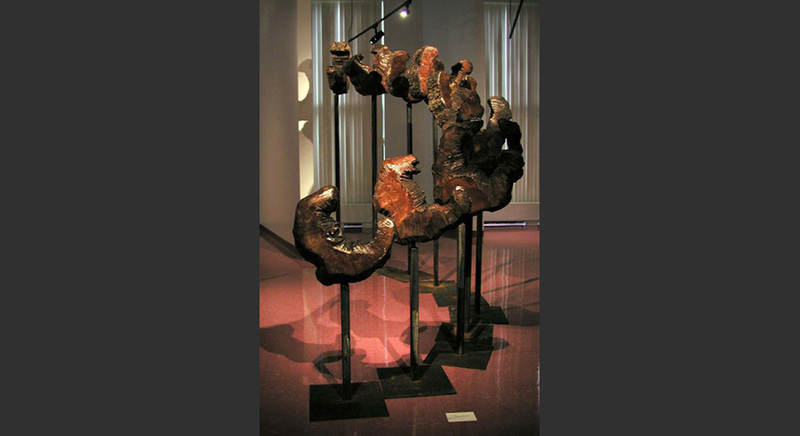 part 1-VERTEBRAE, created as a part of the "Dialogue with an Ancient Forest" Installation in 2002 at the University College of Cape Breton, Nova Scotia, Canada. 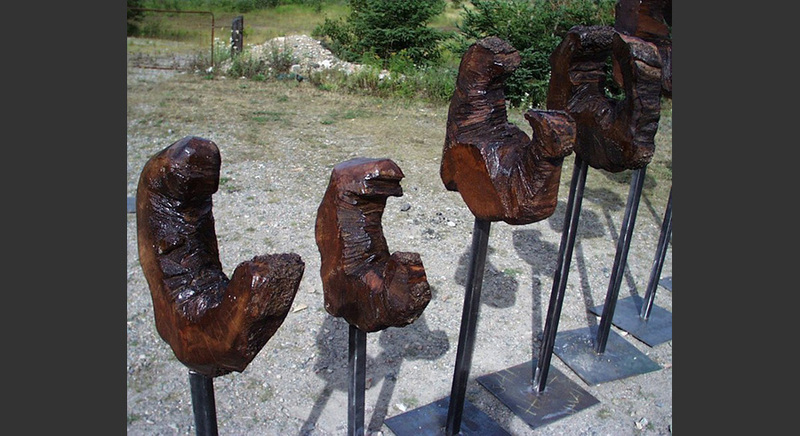 part 2- Dancing Elms, a series of elm branches in motion part 3- Monoliths- a series of mythological fertility totems. 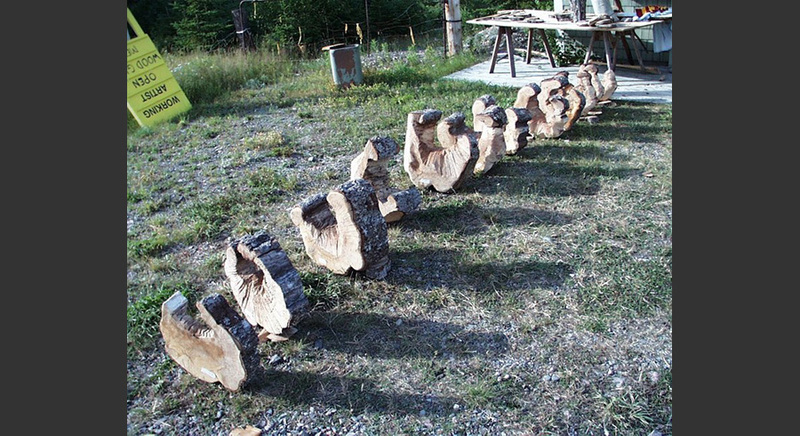 Vertebrae appeared as fused forest backbone. 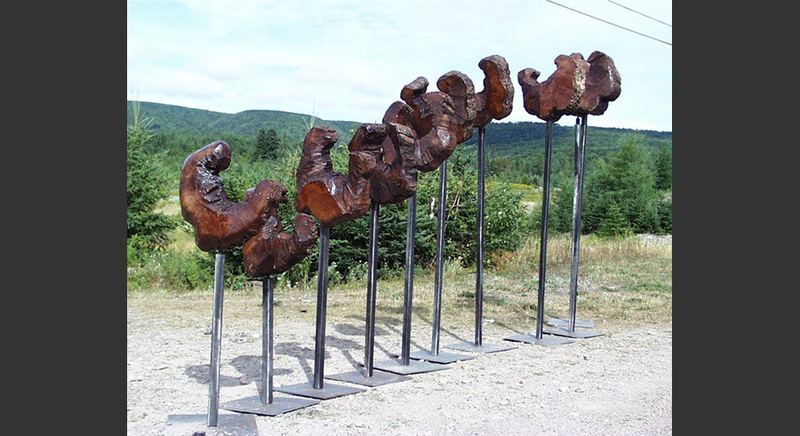 Created from a semi-rotten single Rock Maple tree, the piece was first sliced like a loaf of bread revealing it human bone qualities. 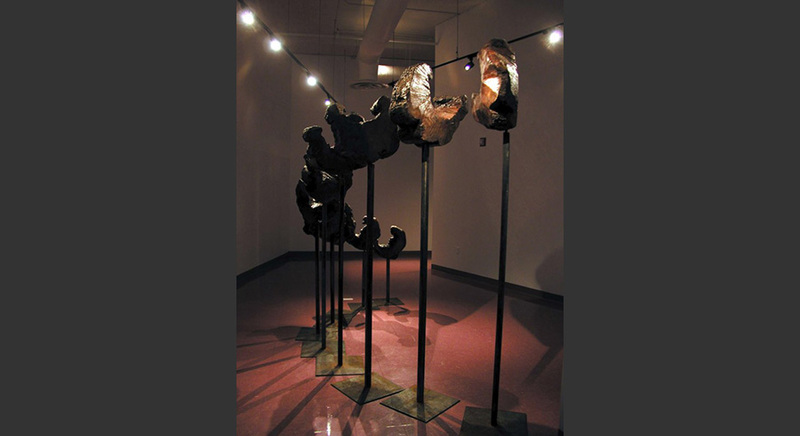 Placed on variable height steel stanchions they have taken a variety of relationships to one another metaphorically, depending on their mood, realistically, depending on the venue in which they sit.